Banking giant JP Morgan is ready to launch a trial on a blockchain-based international remittance system, according to a report by CNBC. The cryptocurrency, dubbed “JPM Coin,” will be pegged to the US dollar in a 1:1 ratio similar to stablecoins. JP Morgan processes a whopping $6 trillion through its wholesale payments business every day. It plans to push a small fraction of that amount through the digital token, in the trial which will start in the coming months. The JPM Coin will only be available to accredited institutions approved by regulators, such as major corporations and other banks. Omar Farooq, JP Morgan’s head for blockchain projects, says that the potential for applications using distributed ledger technology is endless. However, JPM Coin will have a threefold purpose initially. The trial will give JP Morgan the opportunity to research how the blockchain will improve the currently cumbersome wire transfers. The digital token will enable real-time settlement times, unlike the existing SWIFT system that can take days, allowing corporations to execute cross-border payments at any time during the day. Additionally, JP Morgan’s native cryptocurrency will be used for securities transactions. When trading securities, fast execution is highly essential to avoid time discrepancies between settlement and payment, an existing issue that blockchain technology will eliminate. The JPM Coin will also enable large corporations to tokenize their fiat currencies, that were previously held by their subsidiaries around the world. This use for JP Morgan’s treasury services customers, improves the liquidity of their cash flow, allowing companies to fuel their departments easily without having to move cash internationally through wire transfers. Moreover, according to Farooq, corporations will be able to obtain better rates by consolidating their money. 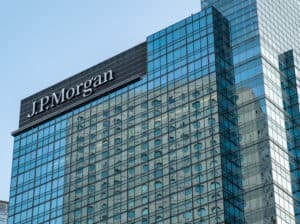 When JPM coin goes live, it will lay JP Morgan as a first-mover for real-life blockchain applications in the banking sector. Farooq is confident that the large market share JP Morgan holds in corporate payments, will give its technology a big chance of getting widely adopted. Ironically, JP Morgan was seen as one of the biggest Bitcoin opposers when its CEO Jamie Dimon openly referred to it as being a fraud in 2017. He quickly came around a few months later to regret his previous claim and say that the blockchain is real. JP Morgan Set to Launch its Own Native Cryptocurrency for Cross-Border Payments was originally found on copy trading cryptocurrency | Blockchain News | Bitcoin News | blokt.com.